A high alpha dual purpose hop. Very intense bittering and aroma profile. Strong citrus flavor and aroma with tropical fruit like, grapefruit, melon, lime, gooseberry, passion fruit and lychee. In very high demand. Three Floyd's Zombie Dust is predominantly Citra. A well rounded hop with a little spice but more woody and earthy tones. 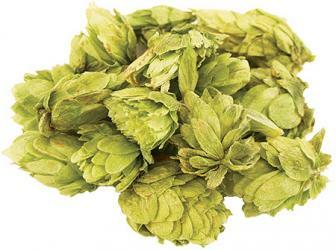 Can be used for bittering but more often used as an aroma hop, especially in British beers. Sam Smith's Pale Ale and Fullers ESB use EKG. 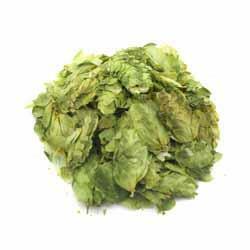 A high alpha hop with low cohumulone levels making its bitterness less harsh than hops higher in cohumulone. Profile is very citrusy with some woodiness. Lovely as a dry hop. Citrus bomb pretty much sums it up. It is a high alpha version of Cascade, but slightly more pungent. Can be used for bittering anywhere you would use Cascade, but as an aroma/flavor hop, it can be quite intense due to the high essential oil content (can be as much as twice the typical oil content of Cascade), so compensate accordingly. Centennial is the star of Bell's Two Hearted Ale. Provides a distinct citrusy grapefruit flavor and aroma which can be used as both a bittering and an aroma hop. Good for dry hopping as well. The quintessential American hop. Sierra Nevada Pale Ale is a showcase for this hop. Centennial and Columbus have a similar aroma/flavor, but are considerably more bitter.